GALION — The sixth annual Divas and Darlings event will be held in Galion this year. 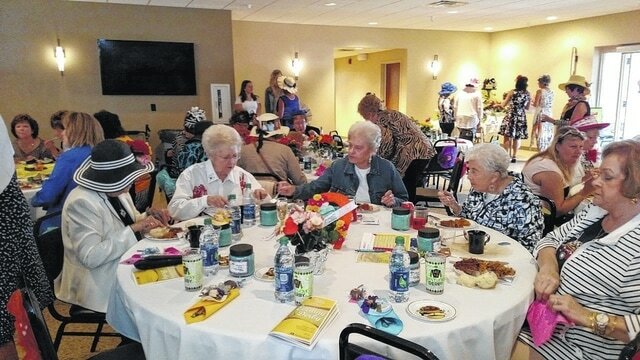 The Divas and Darlings group is hosting a Boot Scootin’ Shindig at 5:30 p.m. on Oct. 20 at the St. Joseph Activity Center, 115 N. Liberty St.
“The women’s events for Avita Health Foundation started six years ago to support women’s health services at both Galion and Bucyrus Hospitals,” said Tammy Schott, foundation director for Avita Health System that owns and operates both hospitals. The group hosts two women’s events each year, one in Galion and one in Bucyrus. “The two women’s events were created with two separate committees comprised of women in both the Galion and Bucyrus communities. The Diva’s & Darlings is the committee that heads up the Galion women’s event in the fall and the Dames & Dolls is the committee that heads up the Bucyrus women’s event in the spring,” Schott said. Schott said that proceeds from the events go towards the current project that the Avita Health Foundation is raising money for. Schott said that although the Cath Lab is located in Galion Hospital, it is the only cath lab currently available for patients in Crawford County and all Avita heart patients have access to this service now. This year’s Shindig event features a karaoke contest, famous purse raffle, interactive games, cakes and cactus raffle, a live auction and a band wagon buffet. Cowgirl hats are encouraged for the event. Schott said past proceeds from the women’s event have gone toward materials for newly-diagnosed breast cancer patients, women’s health fairs, an Infant Security System for Avita’s Maternity Unit, Avita Maternity Unit Renovation, DexaScan System and now the Cardiac Cath Lab. Tickets for the event are $45 per person. For more information, call Patti Scott at 419-462-4616or send an email to pscott@avitahs.org.